From brownies topped with crushed candy canes, to bright green sweet pea spread, here are seven festive snacks to enjoy while decorating the Christmas tree. Between stringing the lights and figuring out the perfect branch from which to hang Rudolph, decorating the Christmas tree is hard work. 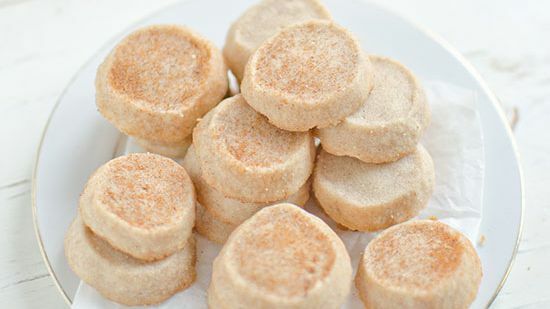 Make sure you have enough delicious treats to keep you going. From brownies topped with crushed candy canes, to bright green sweet pea spread, here are seven festive snacks to enjoy while decorating the Christmas tree. 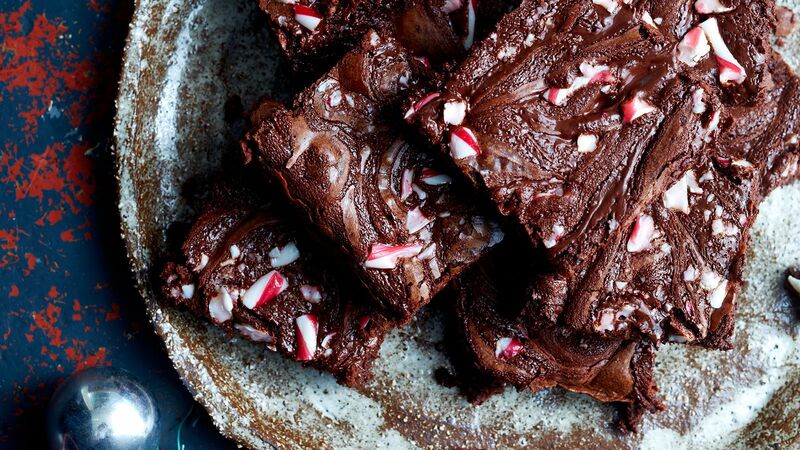 Crushed candy canes make a festive topping for rich, fudgy brownies. 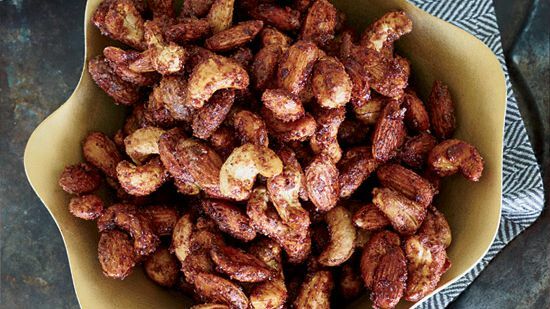 These crispy nuts are coated with cinnamon and chile powder. 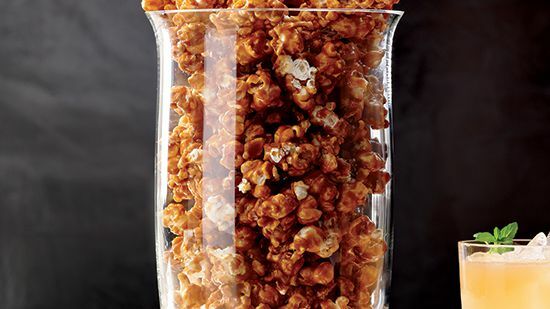 Abodo sauce in canned chipotles adds terrific spice to this sweet-salty snack. 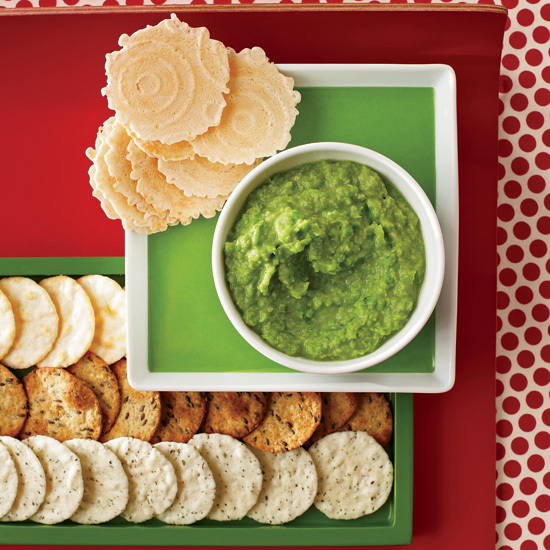 This vibrant green dip is ready in just 20 minutes. 5. 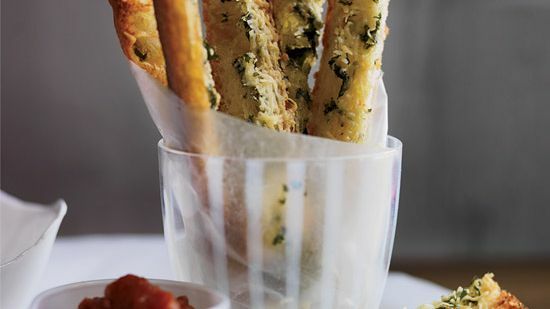 Garlic Bread "Fries" and Marinara "Ketchup"
For a fun take on fries and ketchup, garlic bread sticks are served with smoky bacon-laced tomato sauce. 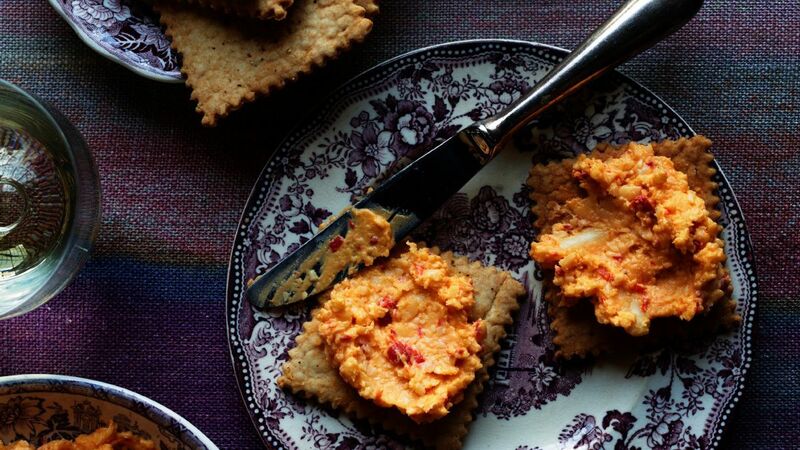 Chef Carla Hall makes her own crunchy crackers to serve with her cheese spread, a riff on the Southern classic.